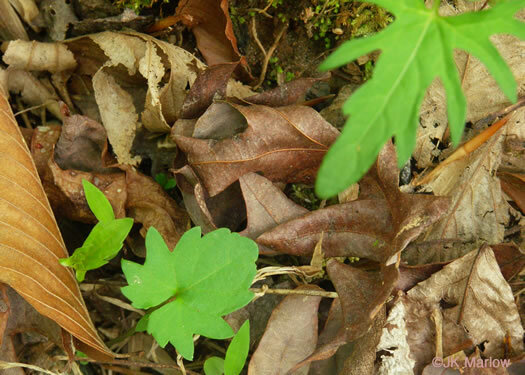 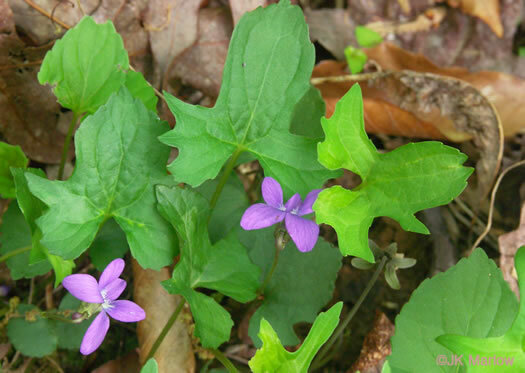 Leaves heterophyllous, only mid-season leaves cleft, parted, or divided, per Violaceae of the Southeastern US. 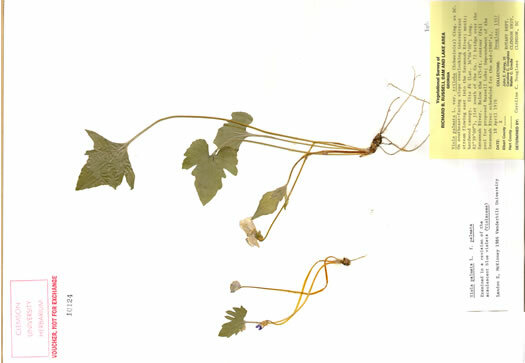 Castanea (McKinney & Russell, 2002). 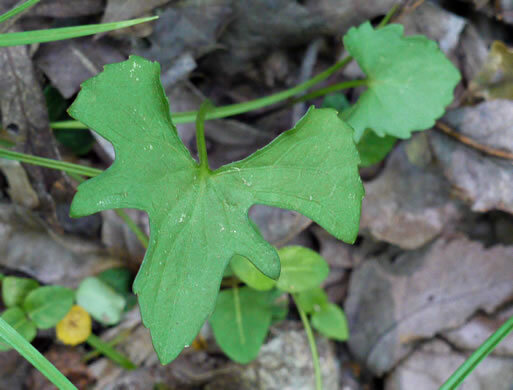 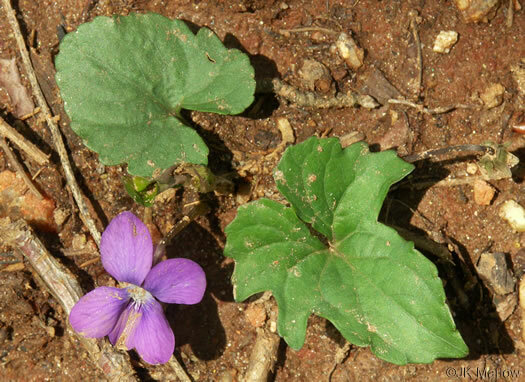 Leaves deeply lobed or dissected; unlobed cordate leaves also present, per Wildflowers of the Southern Mountains. 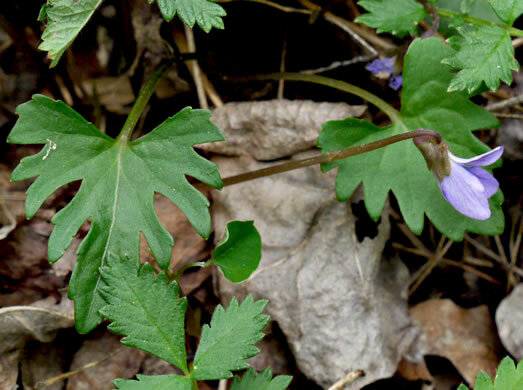 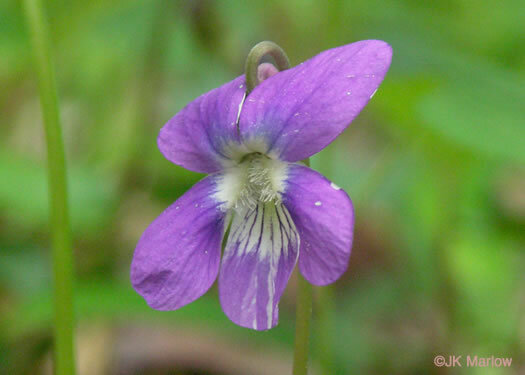 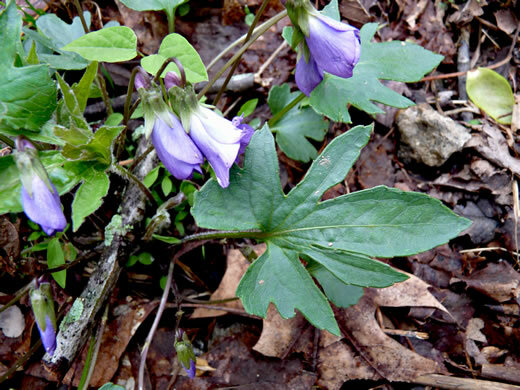 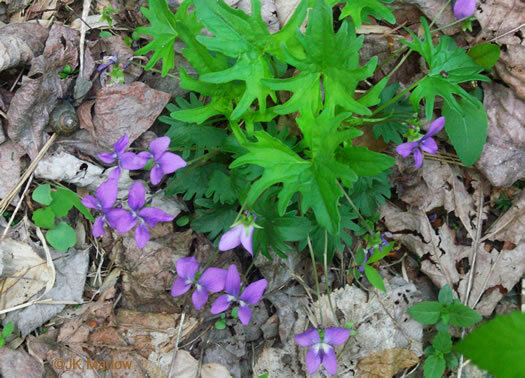 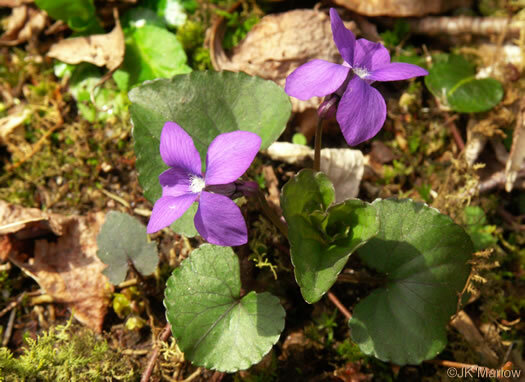 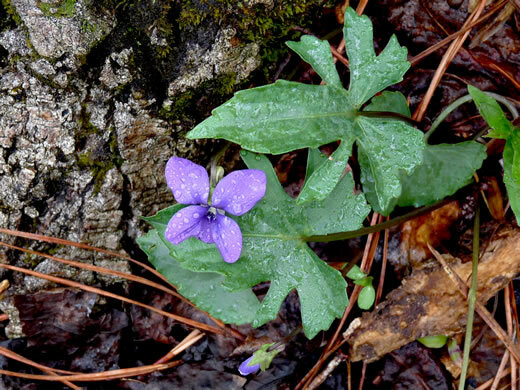 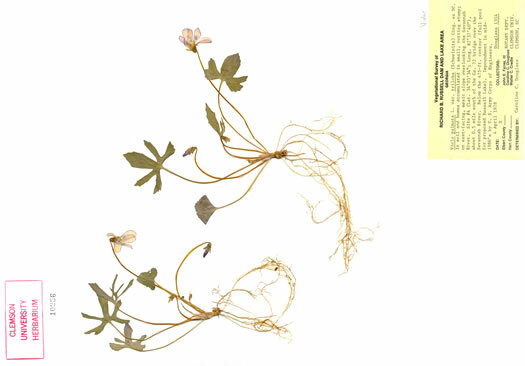 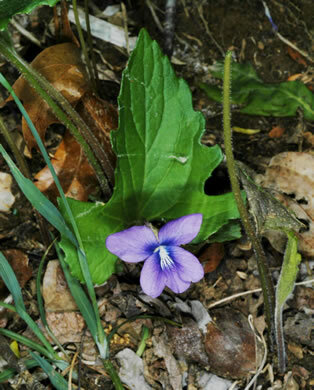 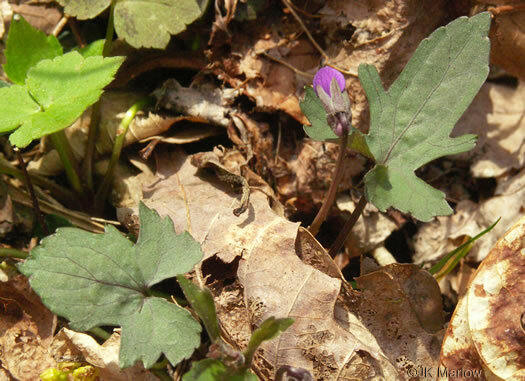 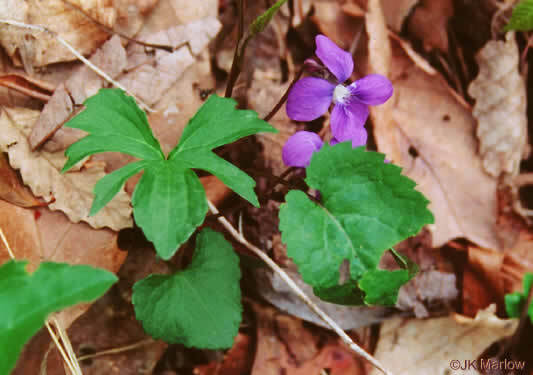 Flowers variable: blue-violet, streaked violet and white, to solid white, per Wildflowers of Tennessee, the Ohio Valley, and the Southern Appalachians.